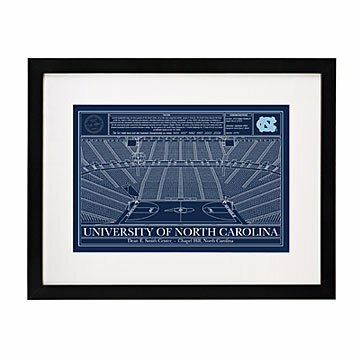 These college basketball arena prints showcase your school spirit in classic style. Remember March Madness, big wins, and the thrill of your alma mater with these collegiate arena prints which showcase your school spirit in classic style. Evoking the nostalgia of midcentury architectural plans, each illustration lays out the details of your favorite college court in a palette that matches your school"s colors. Printed on museum-grade, archival paper and framed in black BonanzaWood® using acid-free archival board. Made in Portland, Oregon. Click here to see all available arenas. Arrives ready to hang in black Bonanzawood frame.